Change is in the air at Essentials, Inc. The company’s survival is at stake and difficult decisions lie ahead. Should they sell out to investors and give up their ideals as an independent enterprise? Or can they find a way to change from within and somehow thrive? To make the company look good to investors, the first person facing the axe is Rick, the company sales trainer, who’s known for his unorthodox style. But management begins to take a closer look at Rick’s techniques for improving salesperson performance. 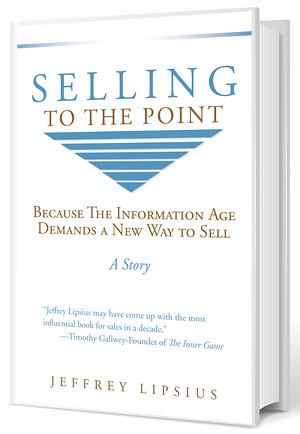 They discover a treasure trove of insights, which Rick calls “Selling To The Point”. Can Rick’s radical ideas be the answer to Essential’s dilemma? This unique business novel digs deep into old, unquestioned assumptions in an unforgettable way and reveals a new path for successful selling.